Channel Seed: You only get out what you put in. Choosing the right seeds with the right traits can make all the difference for your operation. 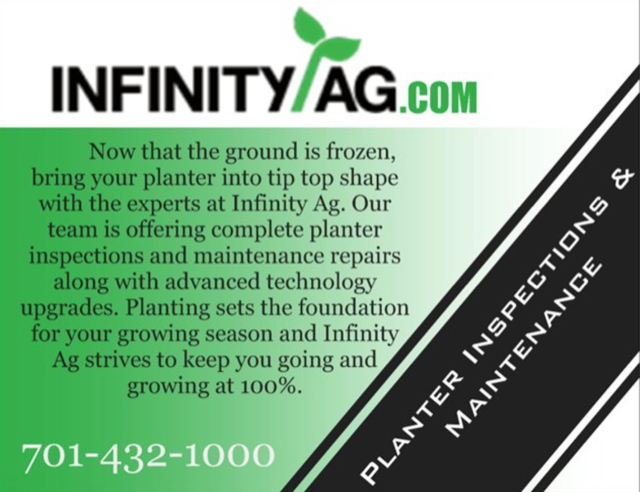 Infinity Ag provides the expertise and one-on-one attention to make sure you get it right, every time. As Channel Seedsmen, we take the time to walk your fields, understand your unique conditions and find the best solutions for your individual needs. We offer Channel Seed corn, soybean, alfalfa, grain sorghum and forage sorghum seeds with top-of-the-line genetics with a wide variety of traits so you can realize your best harvest. Our germplasm is sourced globally, tested locally and combined with the latest traits and treatments to ensure outstanding performance. Our combination of expert advice, unmatched products and personal service is why successful growers return to us year after year. 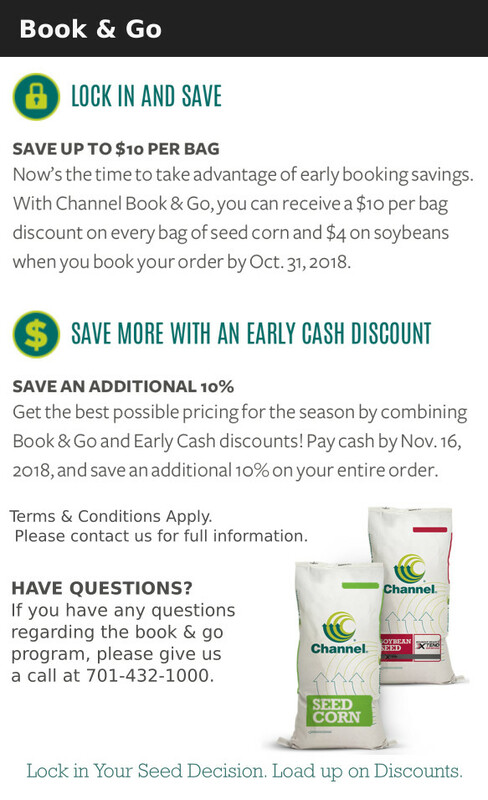 Find further details on the Channel Seed website or Call Infinity Ag at 701-432-1000 to talk to an experienced Channel Seedsmen. On farm seed delivery available. Want to know more about the seed we offer? Check out the latest Harvest Results.